CAI's software helps us streamline our processes, including how we create customer lots and settle their accounts. Are you continually frustrated with inaccurate precious metals inventory? Are you troubled by a settlement process that produces inconsistent results? Are you annoyed with the inability to track customer lots through the refining plant? Computer Associates’ NAV for Refining software is the solution. Designed specifically for the precious metals refining industry and developed in collaboration with leading metals refiners and recyclers of precious metal-bearing scrap, NAV for Refining is a fully integrated, 100% Windows-based business management software solution that streamlines Production, Lot Control, Settlements, Payments and other business processes. 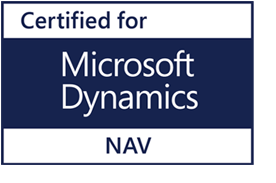 Based on Microsoft’s® Dynamics® Enterprise Resource Planning (ERP) software, NAV for Refining includes a highly developed and progressive suite of industry-specific modules developed using very sophisticated and powerful program development techniques. 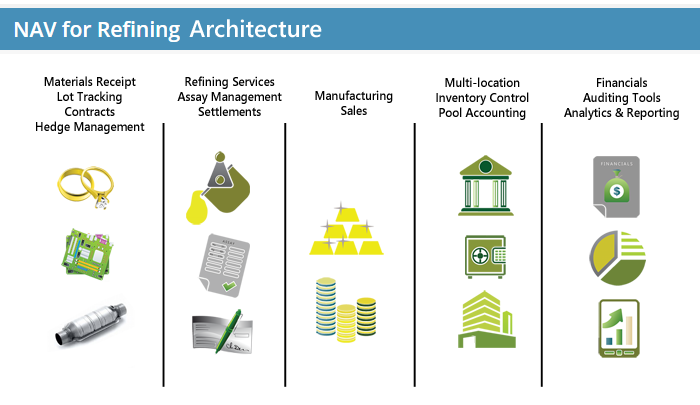 NAV for Refining lets you quickly and accurately track your customers’ materials throughout the refining process, automate lot creation and settlement and perform a range of additional operations. What’s more, the software connects all your critical financial, technical, and operational data with market intelligence, so you can make sound, rapid decisions and respond quickly to change. Is NAV for Refining Right for You? Do you have immediate and remote ‘anytime’ access to your ‘hedging positions’? Do you have a complete audit trail of your customer and vendor settlements? Do you use contracts with controlled settlement processing for all transactions? Do you use pool accounting? Do you provide spot pricing to customers and vendors and hedge for protection? Do you co-mingle customers’ bars into house lots for further processing? Do you manufacture any other items from the refined metals?